Photo: Courtesy of La Garçonne. Slowly but surely, something amazing is happening in Tribeca: The neighborhood is becoming a shopping destination right before our very eyes. (We're not that surprised; our first office was on Leonard Street, after all.) The 'hood, already home to Edon Manor and Steven Alan, now boasts another must-hit store: La Garçonne. 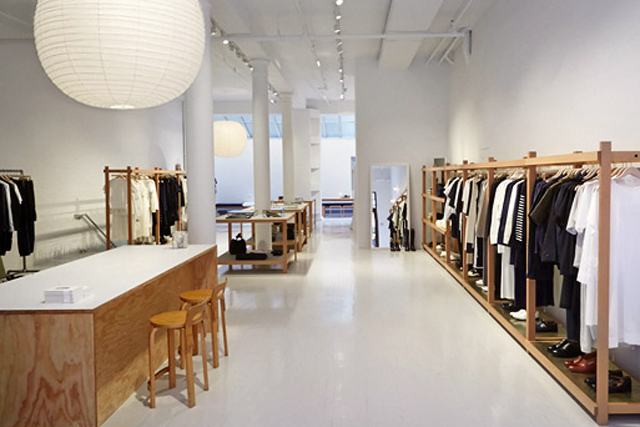 The brand's first brick-and-mortar location will feature only the best of the best. Expect up-and-coming designers you can discover for the first time and established names you already know and love alongside the store's very own label, La Garçonne Moderne. Check it out this weekend (it's already open! ), and start eye-balling the goods you'll want to wear all summer long. La Garçonne, 465 Greenwich Street (at Watts Street); 646-553-3303.